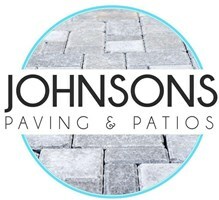 Johnsons Paving and Patios - Driveways/Patios/Paths based in Chertsey, Surrey. Johnsons Paving & Patios have over 30 years of experience in designing, constructing and implementing Driveways and Patios on all kinds of properties from residential to commercial. Every project we undertake is bespoke to your exact needs and with the personal touch from initial call and quote through to completion. We cover a 40 mile radius of Chertsey, Surrey.